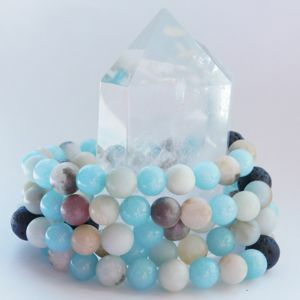 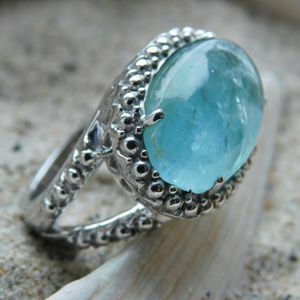 This is a statement piece designed around a stunning Aquamarine. 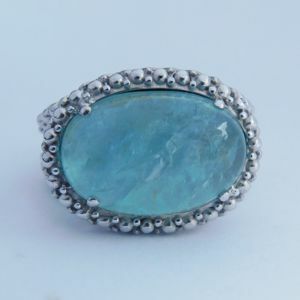 The oval-shaped Aqua has inclusions which make the stone sparkle and shine just like water. 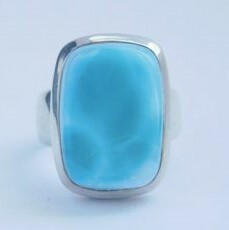 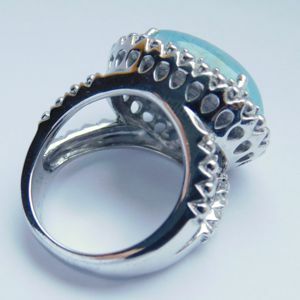 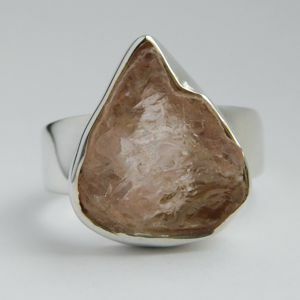 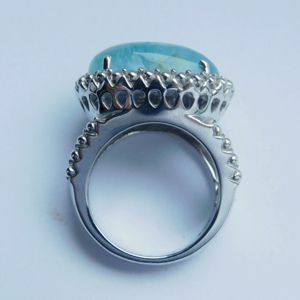 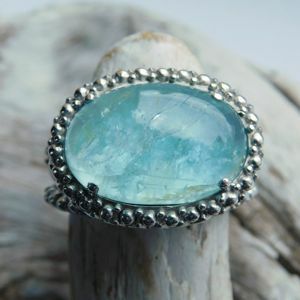 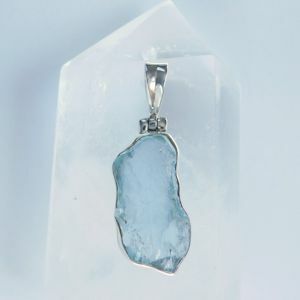 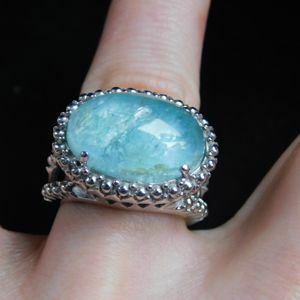 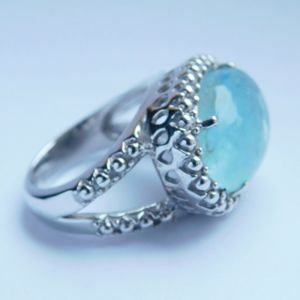 The Aquamarine cabochon measures 20 x 15 mm and the ring size US 7.